Styled with shrunken crew . 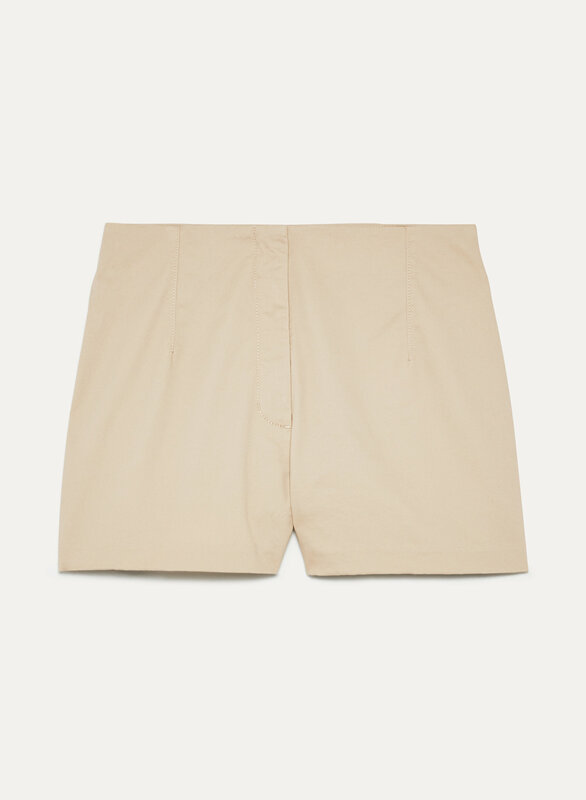 These minimal, high-rise shorts are done in a cotton twill for a modern take on summer. The super-sleek silhouette means you've got versatile styling options.